We want to say a massive thank you to everyone who has supported the Bayb’s Maternity Appeal since it launched in February 2017. What a difference a year makes! The maternity appeal has raised £175,000 so far. All funds raised will help buy extra equipment, furnishings and ‘extras’ for the new, state-of-the-art South Lakes Birth Centre at Furness General Hospital, which opens on 14 February 2018. The final ‘Big Push’ is now on to find the remaining £75,000 that will take our appeal to its £250,000 target. 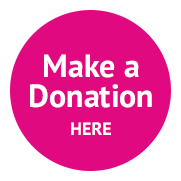 You can donate online today to support Bayb’s maternity appeal. “We are hugely grateful to everyone who has supported our Bayb’s appeal for the new maternity unit. Their donations will have a significant impact on everyone who uses it – women, families and staff. The Bayb’s appeal is about ensuring the safest, most comfortable environment for our newborns, their parents and visitors and the unit’s staff, who can be confident that they have the latest technology at their fingertips and the most up-to- date clinical training aids. – Sascha Wells, Director of Midwifery and Obstetrics, University Hospitals of Morecambe Bay NHS Foundation Trust. The new £12m maternity unit is due to welcome its first women and families in early February 2018. It has 14 en-suite birthing rooms, including four birthing pool rooms. Mum and her birthing partner will stay in the one room until she and her baby are well enough to go home. Each room is equipped with a resuscitaire should the baby need a little extra help breathing when first born. The birthing rooms all have their own wall-mounted, flat screen SMART TVs. They are decorated to be as homely as possible with cots for babies that can be pulled over the bed, so mum and her newborn can maximise skin-to- skin contact. One of the Bayb’s appeal’s first major fundraising events was a sell-out spring dance at Hawcoat Park Social Club. Starring local band Soul Survivors and sponsored by Ulverston-based electrical safety specialist Bender UK Ltd, it raised £5,000. Another dance saw the Simpson family, who farm at Arrad Foot, raise a staggering £6,880.80 for the appeal when they hosted a barn dance for 250 family and friends in their sheep shed. On a lovely sunny Sunday in May, hundreds set out on a sponsored walk to Piel Island that brought in £5,000. It proved so popular, it’s now going to become an annual fundraising fixture on Bay Hospitals Charity’s events calendar. Others walked across Morecambe Bay and from Keswick to Barrow (the annual K2B Walk) to raise funds, including Bayb’s appeal co-ordinator Heidi Bowron. Paula Richardson, Head of Charity and Fundraising for Bay Hospitals Charity ran her first ever half marathon in Manchester to raise £500 for Bayb’s. The maternity appeal was one of the official charities of the 2017 Tour de Furness in September. As part of their training for the tour, staff at Barrow’s Nuffield Health Fitness and Wellbeing gym undertook a static cycle challenge to raise additional Bayb’s funds. Pupils from St Paul’s CE Junior School, Barrow, raised over £1,000 by taking part in a sponsored ‘Big Push’ around the school playing field. It involved the children pushing or shoving anything moveable with wheels over several laps to bring in funds, which were boosted by a pop quiz the youngsters also organised and a performance by the school choir outside the Bay Hospitals Charity office at Furness General. Pre-schoolers from Happy Tots Nursery took part in a hospital dress-up and information day that raised £100. Residents of Ramsey Park Sheltered Housing Scheme took afternoon tea and organised a raffle to raise £511.95. Even the construction company building the new maternity unit, VINCI Construction UK, has supported the appeal through charity MedEquip4Kids, which gave more £28,000 to fund the resuscitaires. HEFF (Hospital Equipment Fund for Furness). It was HEFF’s £16,500 which funded three birthing pools for the new unit. This means that the centre will house four, something unheard of anywhere in the country for a unit of this size. A comedy hypnotism event at the Laurel and Hardy Museum and a fashion show at Ulverston Sports and Social club organised by Bayb’s volunteer Rachel Edmondson, brought in almost £2,000. Askam mum-of- two Kirsty Satterthwaite played her part by organising a gift appeal. Through her online company Story Box, Ms Sattherthwaite gifted £314 worth of brand new Usborne children’s books for the new maternity unit. Kirsty wanted to say thanks for the care she received at the current unit when she gave birth to her daughters Ava, 3, and 18-month-old Rheya. More funds were raised from another poignant thank you by BAE pipe fitter, John Herrmann. John paid £450 in an auction to have a brick laid in the new unit’s foundations, in memory of his brother, Christopher who passed away in August 2015, aged 56. There was also a donation of £511 from Hilary and Alan Docker, raised from an annual garden party to celebrate the life of their late baby grandson. Bucket collections are in place at Booths, Morrisons and Tesco. This plus funding from the Co-op’s Local Community Fund and a collection at Barrow’s Costa Coffee sees the appeal gearing up for its final push. Along with regular sales of hand-knitted, donated baby clothes, hand-made greetings cards and other craft items, Bayb’s shows no sign of slowing down. Contact Heidi in our Barrow Charity Office to chat about how you can get involved – you can email charity@mbht.nhs.uk or call her on 01229 404473.